Your co-workers deserve to be less bored. The next time your boss suggests the same boring team building exercise, you should suggest something a bit more dynamic. Bring a bit of Hollywood to your next staff meeting with Cory Anotado and Pacdude Games. From small meetings to showcase stages, let Pacdude Games’ accurate simulations of popular television game shows drive your next meeting, trade show booth or training day. Give away prizes to customers or trade show visitors with our interactive prize games! Spin wheels, play quizzes, or draw raffle tickets with these unique eye-grabbers. If you have an idea for some custom presentation software for your next training meeting, trade show event or team-building exercise, let Pacdude Games help you refine and present it with trademark polish. 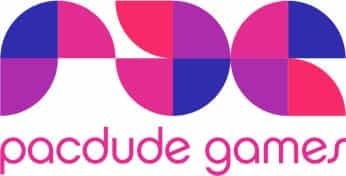 Let Pacdude Games host your next event. Cory can write custom trivia, host our special trivia formats, and Cory’s even an ordained minister, so he’ll marry you and host trivia at the reception. If he doesn't do enough already, Cory is also an accomplished graphic and web designer. Let him revamp your company's website to make it modern, fun and mobile-friendly. SEO-friendly mobile-first website design will make your site stand out.